1. 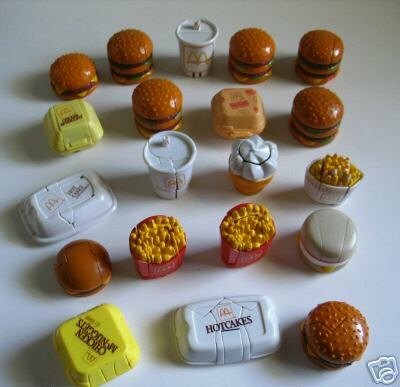 McDonad’s Transformers- In the early days of the Happy Meal, the toy that kids got inside was usually something “self-produced” by McDonalds. It was a Grimace bowling pin set, or a Birdie puppet or something similar. In the 80s, they started to transition to what Happy Meal toys are now – licensed products like Hot Wheels, Star Wars, or Barbie. This set of toys featured the best of both worlds. 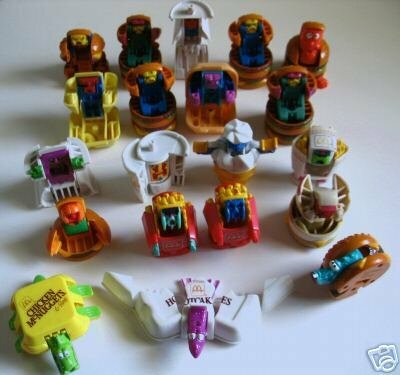 In 1986, McDonalds rolled out a set of Transformers toys that were McDonalds products that turned into robots. As a kid, I had a tough time work this into the Transformers universe – like, was the food in that universe now robotic as well? Was nothing safe to eat, for fear that your hotcakes were actually a jet fighter laying in wait? I’m pretty sure I didn’t spend much time dwelling on that, and quickly got over it. My McDonald’s Transformers were probably dumped at a garage sale some time in the 90s, but twenty-eight years later, I finally miss them. 2. The Inside Story of Modern Gasoline – Here’s a 1946 documentary produced by Standard Oil of Indiana detailing the process of refining. Say what you will about the Oil Company, but this video’s a pretty informative (although basic) description of the process. There doesn’t seem to be a lot of “selling” oil going on here, but perhaps that’s because it didn’t really need to be sold. Nevertheless, the animations are fun, the descriptions of the process still seem to hold up today, and all in all the piece serves to remind us of a time when educational films like this even existed. 3. Pudding Roll Ups – In the 1980s, Betty Crocker decided to take the well-proven sell-ability of fruit leather rolled up into a cylinder and extend it to the next natural step: pudding. These things were disgusting. They came in chocolate, vanilla, and tapioca – and all of them were awful. This commercial played in every commercial break of every kids show from 1986 to 1990, and that one kid’s “That’s pudding to me!” is forever etched in my brain. Also, that other kid is Seth Green! 4. 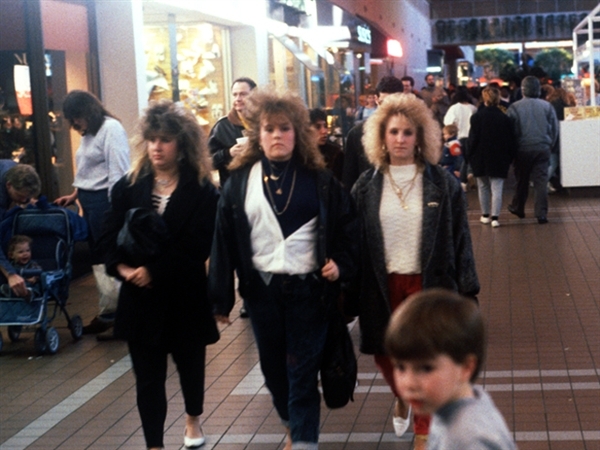 1990: Scenes from a Mall – Pie Shops has a great pictorial of camera snaps of mall life in the 90s. The one of the ladies smoking on the bench really says it all. Why did I beg to be driven there every weekend? 5. 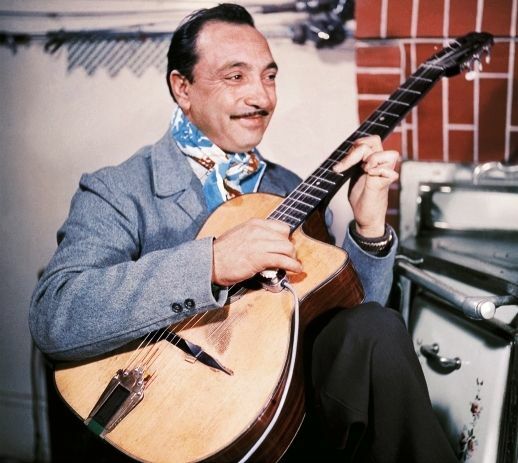 Django Reinhardt – This guy. Why include him here? No reason. Why not?